The second test had seen me to a D. Even at this point I still hadn’t intended on causing more bloodshed. However, the two girls above me – Gilbert and Daniff – had been laughing so loudly at the prospect of their B’s that I was left with no choice. It was their fault really. I remembered how easy it had been to study with Johnson as a fresh specimen and a little part of me still niggled because of how quickly his disappearance had caused me to climb the ranks. With another two out of the way I may reach an A sooner than I had anticipated. It all happened so quickly I can’t fully remember the details but I had invited Gilbert and Daniff to form a little study group. They had been hesitant at first clearly having better things to do with their time but they finally relented. I was waiting at the lab long after classes had ended. Gilbert and Daniff arrived. Gilbert was carrying a large folder of notes in her arms. Several coloured stickers popped out from the top swaying in the breeze like they were calling for help. We were studying the human eye by this point so Daniff sat herself at a table and pulled out a large chart of the eye clearly displaying its vessels and nerves. The image was colourful and well illustrated but it looked nothing like the real thing. I lifted a sharp scalpel and hovered behind Daniff. I could tell I was making her uncomfortable because her shoulders quivered. As quickly as I could manage I made a simple cut to her jugular and she fell forward. This was a great deal bloodier than it had been with Johnson. Gilbert screamed. She ran towards the doors. I chased after her not really thinking about what I was going to do next. Blood still dripped from the scalpel – I would have to clean that later. Gilbert struggled with the door. As I got closer she gave up and turned to try and fight me off. She cut her hands in the process. I plunged the scalpel into her throat finally subduing her before I cut her jugular to ensure she was actually dead. With four eyeballs on display each fresh and with the vessels in tact I had everything I needed to get my B in the next test. The remains joined Johnson in the river. Click HERE to read about Tracey’s career as doctor, author and serial killer! 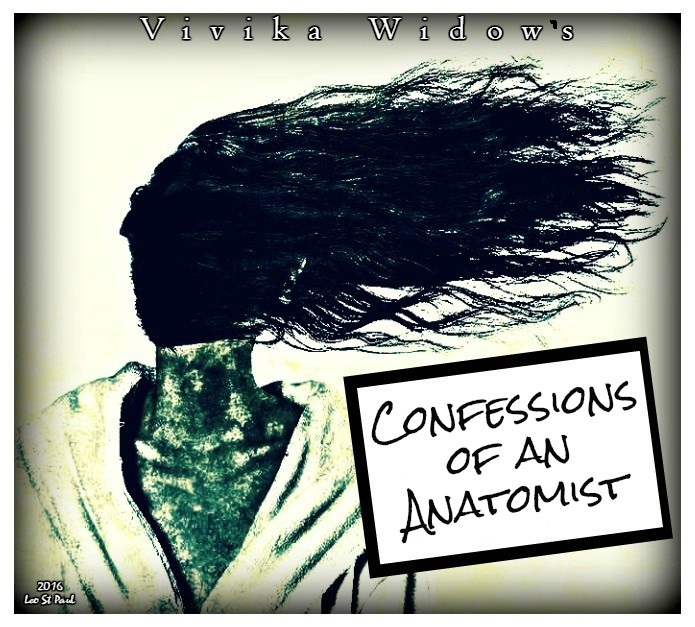 Subscribe to the page for more updates, images and news from Vivika Widow! The follow up novel MY SILLY LITTLE CONFESSIONS is available now. Click HERE to read.